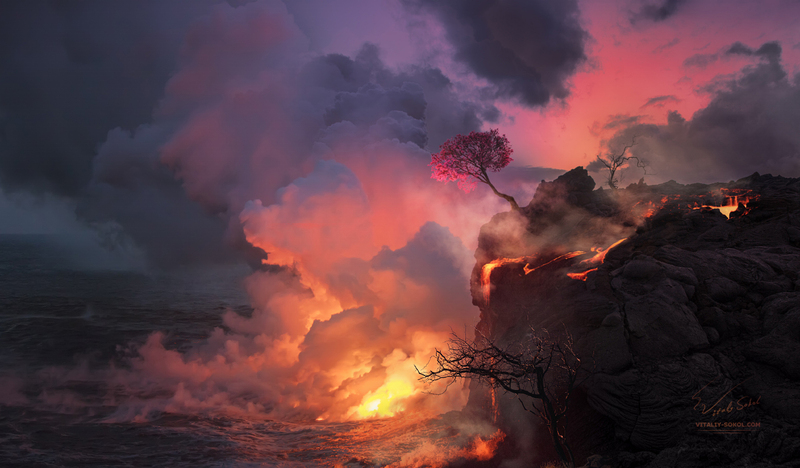 Beautiful landscape of lava flowing from shore into the ocean, cherry blossom tree with pink flowers at edge of coast on volcanic Big Island aka Hawaii. Photomanipulation from my real photos (the tree was blue not pink). Volcanic lava flows into the ocean and meet water making steam clouds and mist. This part is completely real.